Paltalk 10.2 is a video chat program which people can use to communicate with each other. There are many rooms for you to use from all around the word. The chat rooms can be created by any users, The users themselves manage their own rooms. As for privacy, users have the choice to accept private messages from other users or not. Paltalk makes sure to made you stay fun. 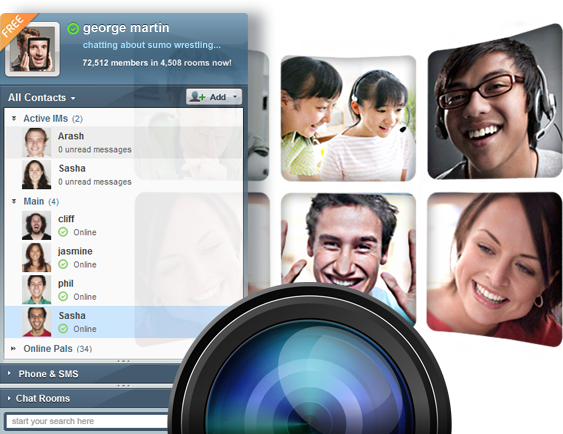 Free Group Video Calls and Global Calling & SMS: Call and send messages via the paltalk client itself. Gifts: Users can give icon gifts to each other. Paltalk Overlays: This a cool feature which you can have design overlays in you video window. New larger video viewer size in chat room header. Added members online and groups data on bottom of Pal list. The SMS composer and Phone dialer are now built into the Pal list. Many smaller bug fixes, tweaks and performance improvement’s.